& yet I'm so excited! All weekend long we've been remodeling our formal dining & living room. This is how it looked before we started. 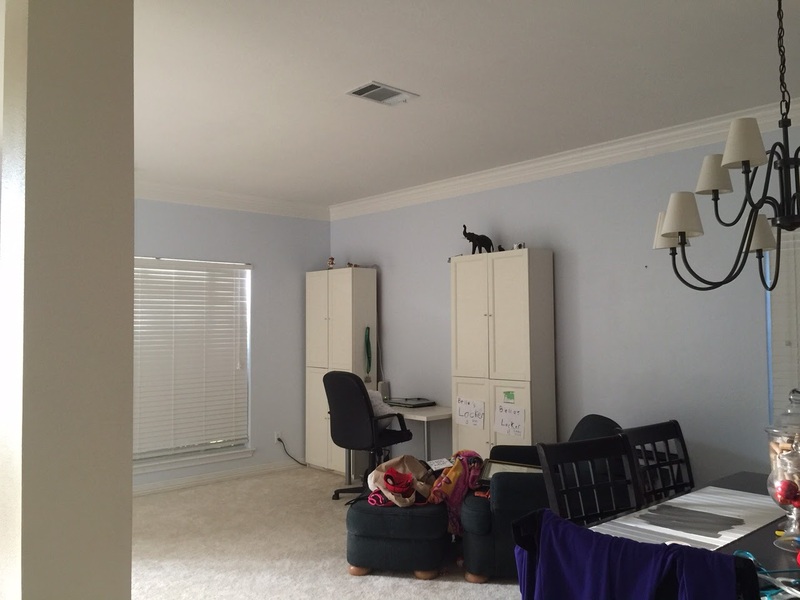 Notice the light blue paint I decided was beautiful 6 years ago when we moved in. 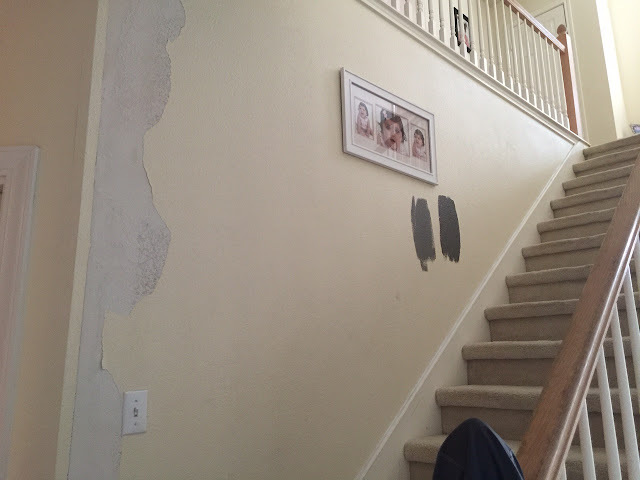 Note: The wall by the stairs is messed up due to our AC breaking and leaking! Luckily no mold, but still hideous! So we decided to go with a mid-dark gray & bright white trim. 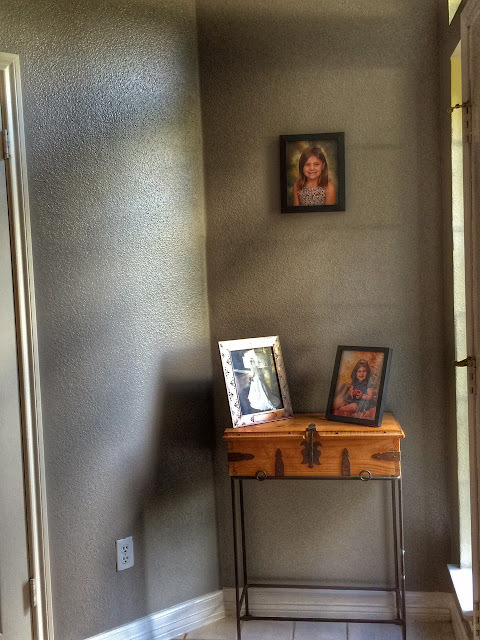 The gray is Dovetail by HGTV Sherwin Williams Showcase paint @ Home Depot. It's in the satin finish. This is the entryway. I didn't take pictures of the actual room yet seeing as we didn't finish. This was a much harder project than we expected! and that's not done yet. Check back next Monday for the big reveal! 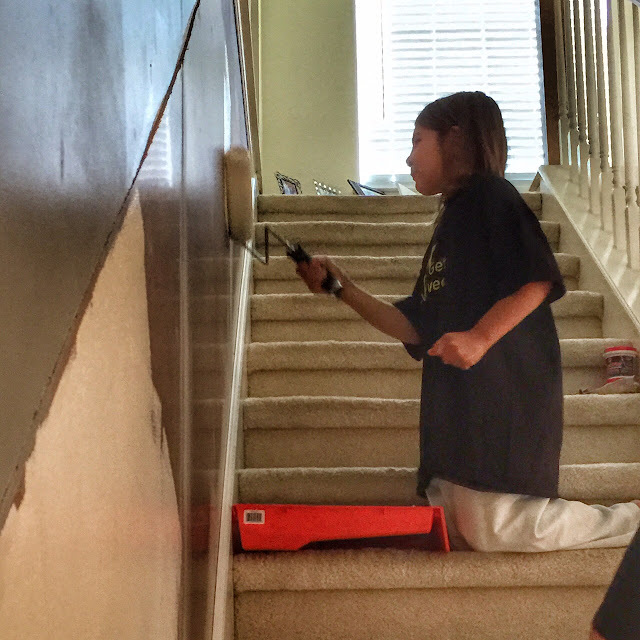 Bella was excited to help her Daddy & Grandpa paint! Well for at least 20 minutes or so!